On 19 January in this magazine I reported on the chamber music cycle at the Teatro Argentina in Rome, produced by the Associazione Filarmonica Romana. I also reviewed the first concert of the cycle: Bach's The Art of Fugue, performed by the Accademia Bizantina - see For Students to Complete?, 19 January 2019. On 24 January 2019, the program of the second concert attracted me because two very distant composers - György Kurtág and Johannes Brahms - had music performed on the same evening. I wondered if this odd couple was in a temporary 'time marriage' or if there are longer perspectives for other similar concerts. My surprise stemmed from a recent experience, in late December. Then, two different Kurtág compositions were merged with a short work by a young Italian composer; the result was so bizarre that I preferred not to report about it here. The 24 January concert was part of the quartet series that characterized the cycle. 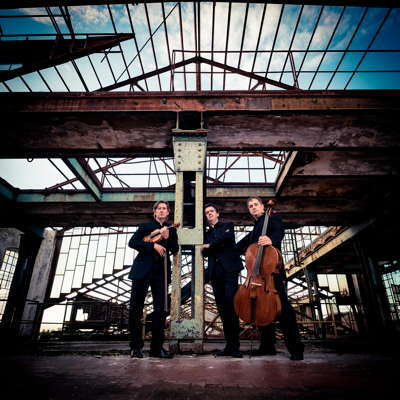 A quite well known ensemble - the Trio di Parma - Alberto Miodini, piano, Iven Rabaglia, violin and Enrico Bronzi, cello - joined forces with Simonide Braconi, viola. The Trio was founded in 1990 at the Parma Conservatory and performs all over the world; it has produced several recordings, mostly of Romantic music. Braconi is a much appreciated soloist and has a rich production of recordings, with emphasis on classical and Romantic music. They play on important period instruments: Rabaglia on a Santo Serafino violin dated 1740, Bronzi on a Vincenzo Panormo cello manufactured in London in 1775, and Braconi on a Gagliano 1800 viola. They appeared as a perfect fit for classical and Romantic music like the Brahms Piano Quartets No 1 in G minor and No 2 in A major - the two pieces that were the main fare of this concert. They were created when the composer was young. I wondered how they would match with Kurtág's Jelek - small pieces, often only fragments or signs - the literal translation from Hungarian - mainly for a soloist and meant to express a mood or a sentiment - as well as with his small pieces for violin and piano. They are sophisticated vanguard late twentieth century pieces, even though often linked to traditional folkore. Yet the marriage, although short lived, worked well. The first part of the concert lasted almost an hour and included a Jelek for viola and a Jelek for cello by Kurtág, followed, without intermission, by Brahms' Piano Quartet No 1, Op 25. The second part, too, had a duration of about an hour and included, without intermission, Kurtág's three pieces for violin and piano, Op 14 with Brahms' Piano Quartet No 2, Op 26. The trick was to play the compositions without even a short break. Particularly in the first part, Kurtág slid very well into Brahms because the Jelek were almost soaked in Hungarian traditional Romantic themes, especially in the dark Schatten, made to precede the Allegro, the first movement of Brahms' Piano Quartet No 1, a movement in which the piano appears introverted while the strings are dynamic. The second movement is quite restless in spite of the title - Intermezzo, Allegro ma non troppo, Trio animato - almost an introduction to a languid Adagio and then to the spectacular final Rondo. In the second part, Kurtág's three pieces for violin and piano are almost a good introduction to Brahms' longest and most elaborate chamber music composition. The quartet has the duration almost of a symphony, and the main dynamic is the dialogue between the piano, the dominant element, and the cello and has many delicate nuances in the juxtaposition of the piano and the strings. 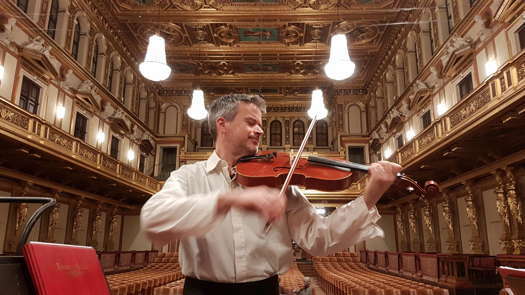 It has the form of a sonata and the Trio, especially in the Scherzo, has connections with popular music - an added link to Kurtág's style. 24 January was a windy and icy cold evening. Thus, there were several empty seats in the orchestra and the boxes were far from full. However, the concert was warmly applauded and the Trio di Parma and Braconi responded with an encore: the engrossing Adagio from Brahms' Quartet No 3.